1. Medically Dependent Children Program – MDCP This program provides Respite, Flexible Family Support Services, Minor Home Modifications, Adaptive Aids, Transition Assistance Services and Financial Management Services to prevent placement of individuals in long-term care facilities who are medically dependent and under 21 years of age and support deinstitutionalization of nursing facility residents under 21 years of age. 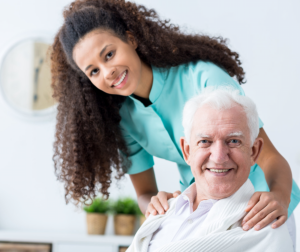 Respite is a service that provides temporary relief from care giving to the applicant’s/individual’s primary caregiver during the times when the primary caregiver would normally provide care. The primary caregiver may be the applicant’s/individual’s parent(s), guardian, a family member or spouse, if married. Flexible Family Support Services include personal care supports for basic activities of daily living (ADL) and instrumental ADL, skilled task and delegated skilled task supports. Flexible Family Support Services promote community inclusion in typical child and youth activities through the enhancement of natural supports and systems and through recognition that these supports may vary by child, provider, setting and daily routine. 2. Primary Home Care/Family Care and Community Attendant Services. Primary Home Care – program is a nontechnical, medically related personal care service provided to adults whose health problems cause them to be functionally limited in performing activities of daily living, according to a statement of medical need. Family Care – is a non skilled, nontechnical attendant care service for eligible adults who are functionally limited in performing activities of daily living. Family Care services are provided by an attendant and do not require the supervision of a registered nurse. Community Attendant Services – is a non-technical, medically related personal care service that is available to eligible adults and children whose health problems cause them to be functionally limited in performing activities of daily living according to a practitioner’s statement of medical need. Services are provided by an attendant. 3. Molina Health Care – Molina Healthcare has been serving the health needs of low-income families and individuals for years. Molina Dual Options STAR+PLUS MMP is a health plan that contracts with both Medicare and Texas Medicaid to provide benefits of both programs to enrollees. This plan is also known as STAR+PLUS MMP in Texas. Molina has a large group of specialists. STAR is a Texas Medicaid managed care program. You pick a medical plan that provides your Medicaid services. STAR+PLUS is a Texas Medicaid managed care program for people who have disabilities or are age 65 or older. People in STAR+PLUS get Medicaid health care and long-term services and support through a Molina medical plan that they choose. CFC is also available through managed care organizations for individuals who meet eligibility criteria. Information about eligibility for CFC is available at this link. A lesser, but still significant. percentage of AAAs also provide families with help completing applications for assistance programs such as Medicaid, respite care and certain veterans’ programs.